Sally Kohn discusses indie bookstores as "connection spaces"—and how deeply we need them in our divisive times. “What are independent bookstores really good for?” a 2006 Slate headline asked. “Not much,” answered the subhead. The gist of the article didn’t stretch the imagination: independent bookstores are dying, and anyway, who cares? Fast forward to 2009 when the number of independent bookstores in the United States actually grew—by more than 30 percent—according to the American Bookseller’s Association, which suggests that either the prognostication about the death of independent bookstores was premature—or, in fact, they were dying, but someone did care, or lots of someones, who helped reverse the trend. And yet, with the volatility in book sales, which seem to rise and fall in alternating waves, the renewed commitment to independent bookstores can’t just be about books alone. Surely it has something to do with the trend toward locally owned businesses countering corporate consumerism; I feel a buzz of rebellion every time I pre-order a book through my local bookstore instead of Amazon. But I think there’s something else at work that has kept independent and community bookstores not only alive, but thriving: as divisiveness, incivility, and vitriol are forming the perfect storm of hate—from your social media stream to the halls of Capitol Hill—community bookstores offer much-needed shelter. A few years ago, I got curious about hate in our culture—why we hate, how we hate, and how we can stop hating so much. 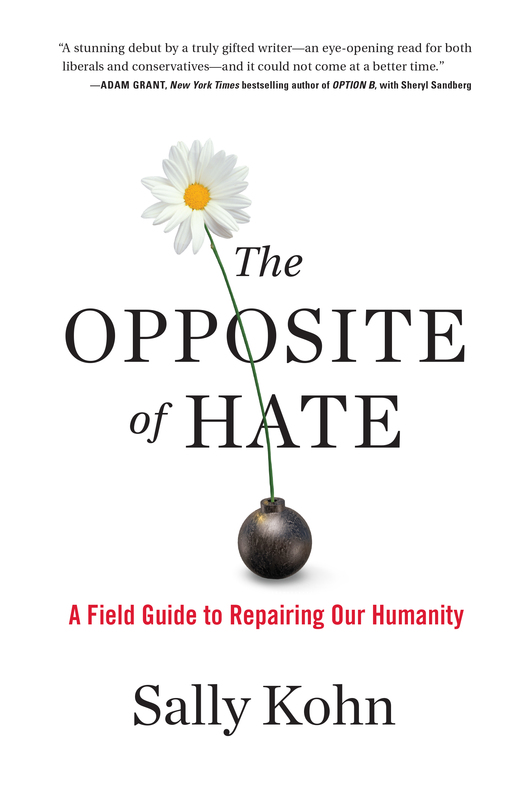 The result is my book, The Opposite of Hate: A Field Guide to Repairing Our Humanity. I spent time with former neo-Nazis and ex-terrorists and looked into the psychology and neuroscience of hate, as well as honestly plumbing my own mindset and experiences for lessons to be learned. In writing the book, I discovered that one of the critical forces in combatting hate in our culture is getting outside of our bubbles—knowing the people we otherwise only hold abstract stereotypes about. (It’s not the whole answer; we also need to unravel the hate in our institutions and public policies, and address deep patterns of segregation.) Knowing each other and combatting hate in each of our lives happens through what I call connection spaces. These are places like schools, community centers, libraries, and other places that create communal environments where people can engage with one another through discussion and shared experience, getting to know others, different identities, and different beliefs. Sadly, connection spaces are becoming extinct: in 2001, Robert Putnam famously diagnosed the disappearance of community culture and social space. In his perfectly titled book Bowling Alone, Putnam used bowling leagues as a metaphor for the declining social structures in American society. People used to bowl in leagues; now they bowled alone—literally and figuratively. Parent-teacher associations, religious membership groups, and local political lodges were also falling apart, and with them, Putnam believed, the civic fabric of the nation was fraying. “School performance, public health, crime rates, clinical depression, tax compliance, philanthropy, race relations, community development, census returns, teen suicide, economic productivity, campaign finance, even simple human happiness—are all demonstrably affected by how (and whether) we connect with our family and friends and neighbors and co-workers,” Putnam argued. Putnam had his critics. “He is definitely right that a lot of our connections with one another are more tenuous than they used to be, and he is right, in his final chapter, to call us to task,” sociologist Robert Wuthnow told The New York Times. But Wuthnow added that Putnam failed to take into account the proliferation of non-profit groups that are “mostly small, and they function like the civic groups that Putnam says are declining.” In other words, Putnam’s account was in part as fatalistic as it was nostalgic, suggesting that because the civic spaces of his white, upper-middle-class Protestant youth were declining, all was probably lost. And when he wrote, “Most Americans watch Friends rather than having friends,” Putnam seemed wise, but also curmudgeonly. It’s arguable that independent bookstores are rising in part to fill this civic need. “We knew we couldn’t have a bookstore that wasn’t in some way a community space,” Michael Fusco-Straub told his local newspaper, the Brooklyn Eagle. Fusco-Straub is co-owner of Books Are Magic, an independent bookstore that opened last year in Brooklyn. It’s open every day and hosts events every evening, events that are often full to capacity. 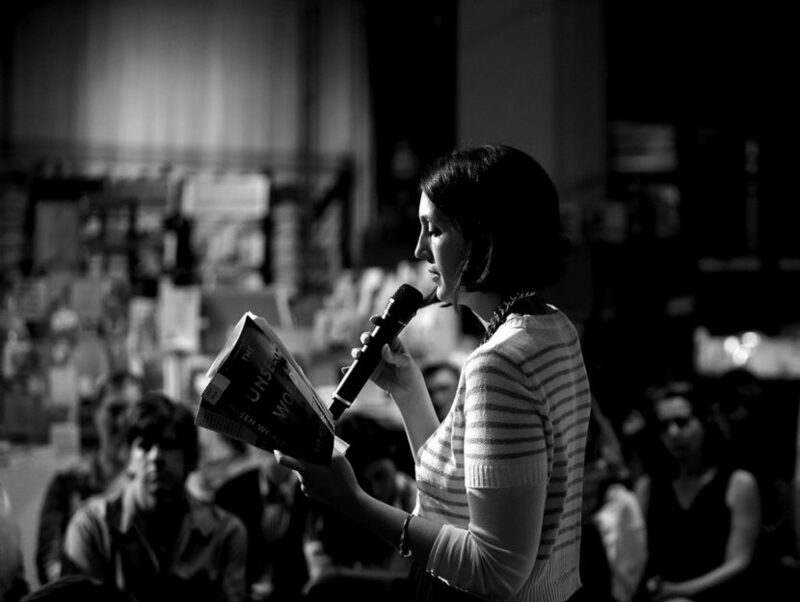 Often after book readings or launch parties, people mingle amidst the tables and shelves of books with wine and snacks, making the store feel more like a community center for hipster bookworms. At a recent event for Molly Guy’s book Stone Fox Bride, there was a station set up for hair-braiding. It was a party that just happened to be in a bookstore—the civic good of the bookstore extending its mission, and the fun of the party blessing the store. While I was researching hate for my book, I learned firsthand how hating someone in 2D was so much easier than hating them in 3D. As an experiment, I reached out to some of my worst internet trolls. I was a little nervous, but after each conversation, I was time and again struck by their humanness and complexity. Like me, they were just average people trying to do the best they could with what they had. None of them were the worst thing they’d ever posted on Twitter, and none of them deserve to be only seen that way. I learned about their hobbies, their struggles, and their sorrow, and in doing so learned how direct interaction helps us see people more wholly—and to see our commonalities, rather than only our differences. That nurtures compassion, empathy, and humanity. Connection spaces like bookstores create opportunities for people to interact with other members of their communities in real life, and to discuss big and challenging ideas in real-time. In liberal communities today, independent bookstores have become rallying points for change. Suddenly there are resistance-themed selection tables in bookstores, not to mention whole resistance-themed bookstores like Everyone’s Books in Brattleboro, Vermont and Source Booksellers in Detroit, Michigan. In 2017, New York City’s Book Culture encouraged civic engagement by posting the mailing addresses of legislators, as well as free stationery, envelopes, and postage at their letter-writing station. It will certainly be interesting to see if more independent bookstores post voter registration and engagement information as the 2018 and 2020 election cycles near. At another Brooklyn bookstore, Powerhouse Arena, I recently attended a book-signing for Rebecca Soffer and Gabrielle Birkner’s book, Modern Loss. For the event, the store was converted into a giant shiva—appropriate for the themes of death and grief in the book. But during this shiva, there was no mourning. Instead, it felt like the celebration it was: of how writing gives so many a voice, and how books give so many community. How much we all learn from books, but also from each other when we connect over ideas and shared experience. And here was the bookstore, holding us all. 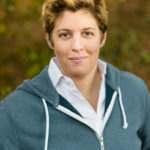 SALLY KOHN is a CNN political commentator, activist and the author of The Opposite of Hate: A Field Guide to Repairing Our Humanity (Algonquin Books). She is also the host of the State of Resistance podcast.